The beach can get very buggy and I am a giant mosquito magnet. to shield myself from those bugs in every way possible. of my feet. Now that's a weird sensation, wearing socks on the sand. This time I thought a maxi dress would be a good option and it was. and a gray and black scarf I picked up in Montauk years ago. You would have thought it was thirty degrees outside. good idea using the dress as mosquito protection, you look lovely sweets!!! Adorable dress! Its perfect for the beach or a night out! Such a pretty dress! Looks great on you! 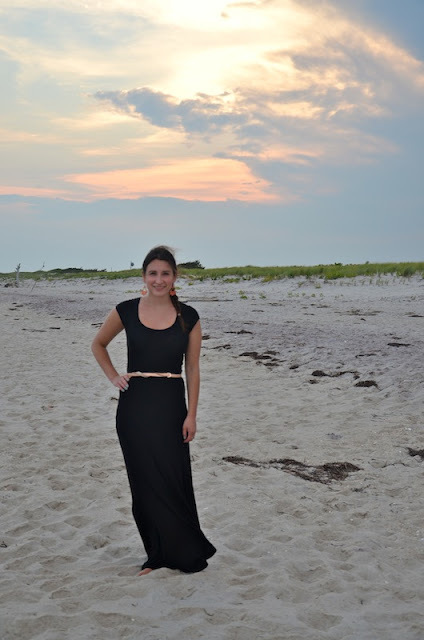 love me a good maxi dress! Such a gorgeous dress! I love the simple shape! You outfit is so cute ! maybe we can follow each others..